At the 12th Annual Conference on Penal Abolition, Charlie presented on the role of art in the prisons. 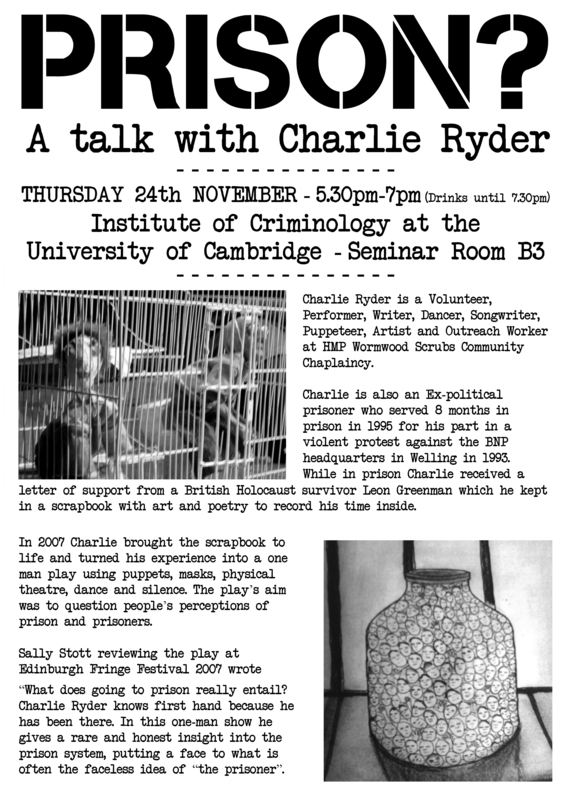 Charlie gave verbal and written evidence to House of Commons Justice Committee on the Role of the Prison Officer in April 2009. Website design (c)2011 Raven Kaliana, all content (c)2010-2011 Charlie Ryder and named collaborating artists.